WYNNEWOOD, Pa. (WPVI) -- Pennsylvania Gov. 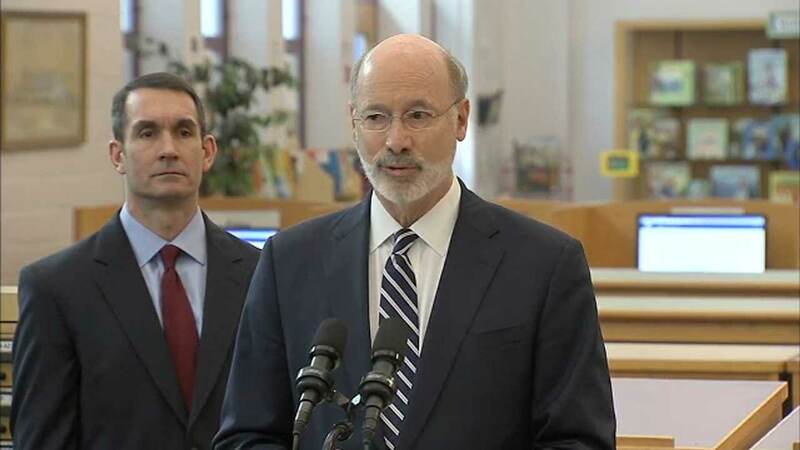 Tom Wolf has announced the creation of a new School Safety Task Force. Wolf made the announcement Thursday morning at Penn Wynne Elementary School in Wynnewood. Wolf said the task force will bring together government officials, statewide education organizations, law enforcement, community members, school officials, teachers, parents, and students to discuss how to best implement improvements to school safety and security. The initiative comes one month after the deadly school shooting in Parkland, Florida.